Elizabeth O'Connor of RBC: The TFSA is 10 years old this year! 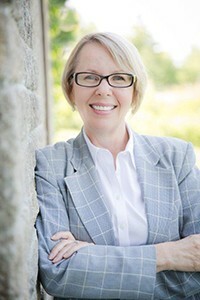 You are at:Home»Elizabeth O’Connor of RBC: The TFSA is 10 years old this year! Elizabeth O’Connor of RBC: The TFSA is 10 years old this year! Long the neglected “younger sibling” of the Registered Retirement Savings Plan, the Tax Free Savings Account or TFSA has grown up to represent a critically important savings and investment opportunity for Canadians! There are currently over 18.2 million Canadian TFSA’s containing a combined, mind-boggling $233 billion in assets. This means nearly half the population is missing out on the benefits of a TFSA. Tax Free Savings Accounts are simple in nature and as the name implies, are accounts meant to shield growth earned in the account from attracting tax. Essentially the interest, capital gains and dividends earned are Tax Free! There is no time limit, they are for life, they do not need to be closed or converted for income – unlike RRSPs. So, what are you waiting for? Celebrate the Tax Free Savings Account’s Birthday by opening one! This article is supplied by Elizabeth O’Connor, an Investment Advisor with RBC Dominion Securities Inc. (Member–Canadian Investor Protection Fund). This article is for information purposes only. Please consult with a professional advisor before taking any action based on information in this article. Whether you are looking for a full time, full service financial advisor or seeking expert financial advice as a second opinion, call Elizabeth. With offices in Haliburton, Huntsville and Bracebridge, Elizabeth works closely with clients in cottage country from the lakes and surrounding towns.